We are happy to announce the upcoming Octave Conference 2017 to be held at CERN, near Geneva, Switzerland, from March 20th until March 22nd. 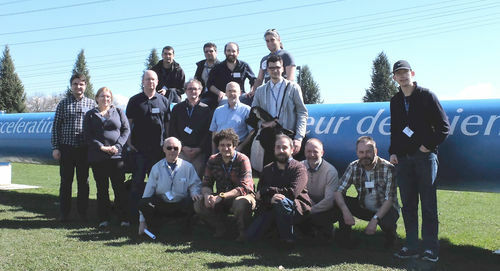 The Local Organising Committee is happy and proud that CERN will host this event for at least two reasons: Octave  is a fundamental tool of analysis and research for hundreds of CERN scientists; Octave and CERN share and promote the same values of openness, cooperation, diversity, quality and commitment. The three-day event will be an opportunity for sharing experiences, planning the future of Octave and promoting its use among the scientific community and beyond. There will two open sessions on Monday and Tuesday showcasing Octave and some interesting and successful Octave stories. To register officially, please use the CERN conference manager Indico. In addition, *please* add your name to the Participants section of this page so we can plan appropriately. We are hopeful that the key members of the Octave development team will make it, both from oversea and from Europe. You can find more updated information on the programme in the CERN's OctConf webpage and in here. Dates: The conference will run for three days from Monday, March 20th through Wednesday, March 22nd. In addition, if you have a poster, rather than a full presentation, there is a separate sign-up sheet below. The indico timetable will be used as the official schedule. This one here should mirror that one. If you have a poster demonstrating how you use Octave to address an application in your field please add your name and poster topic to the list below. We will schedule an appropriately sized space based on the number of posters. To register officially, please use the CERN conference manager Indico. This page was last edited on 27 March 2017, at 04:46.